Ever wonder where your food comes from? 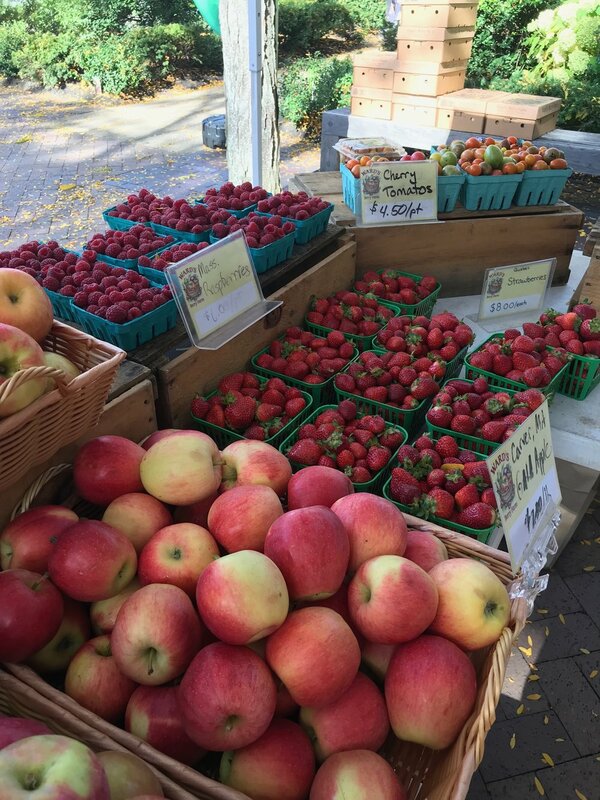 I never knew what the big deal was with the eat local and eat in season movements - I just figured it was a way for people to show they care about their local communities and environment. This type of consumerism sure is great for the planet ðŸŒ� , but turns out it's just as beneficial for your health and your wallet ðŸ’µ. The foods contain more nutrients ðŸŒ± : The food is grown closer to you and therefore it isnâ€™t sitting in a truck beginning the spoilage process on its way to you. When a food sits in the truck or on the shelf, it actually loses nutrients as it goes beyond peak ripeness. It contains less pesticides: Because the food doesnâ€™t have to survive the treacherous trip ðŸšŒ from the place of harvest to your grocery store, it is less likely to need protection, meaning less pesticides, waxes, chemicals, and preservatives to grow and look appealing. You end up eating a more balanced ðŸŒ½ðŸ¥¦ðŸ�… diet: With each season comes new foods. By rotating the types of foods you eat seasonally, you will receive more nutrient variation. Building a lifestyle around seasonal food facilitates the bodyâ€™s natural healing and detoxification process with warming/detoxing foods in the winter, and cooling foods in the summer. The food tastes better ðŸ˜‹ The food hasn't been sitting on a truck and likely contains less pesticides because it doesnâ€™t need to resist damage during transportation. The spinach plant produces extra sugar to protect itself against the cold, which means a fresh winter spinach salad can be pretty sweet. You save money ðŸ’° : This is not alway the case with eating local, but it is true when buying in season. When a food isnâ€™t in season, the price goes up in the grocery store because of the cost to ship it during a time when it isnâ€™t grown locally. Community ðŸ‘¨â€�ðŸ‘©â€�ðŸ‘§: There is something very powerful about learning where your food is coming from. Get to know your local farmer, ask questions, and make informed decisions about what you put in your body. So go ahead and check out where the local farmers market are around you and you will find what foods are in season in your state so you can get creative with your next dish and maybe try something new!